This past week the Teachers Retirement System of Georgia (TRS) announced the cost of living adjustment (COLA) for retirees starting in January 2010. The basics of the announcement was that if you retired between July 1, 2008 - December 1, 2008, you are not eligible for the 1.5% COLA since the Consumer Price Index (CPI) is still not above average from when you retired. Retirees from this period will continue to have the same gross benefit payments with the next review of the average CPI being in May 2010 (for the period starting July 2010). ALL other retirees are eligible to receive the 1.5% COLA increase, and this change will be effective January 1, 2010. To read the official letter from Jeffrey Ezell, TRS Executive Director, please click here. I had an interesting dialog via email this week with one reader that questioned why she should and how she could afford to save for retirement beyond her TRS pension. It all started with a simple question - "Why should I save more than my TRS pension will give me?" A good, thoughtful question, and one that I thought I had covered rather well. In my response, I noted that the educator was not paying into Social Security (SSA), did not have 10+ years of SSA earnings anyway (she is young), and the county she worked for did have a small supplemental pension - but it would not kick in before age 65. I also noted that in her gross pay, 5.2% was passed on to her net pay that would have been contributed to SSA (SSA is actually 6.2% but the county supplemental pension contribution was 1%). I further tried to explain that between full retirement (30 years) and age 65 (supplemental pension) that the only income that was guaranteed to be distributed was her TRS pension. As educators, one of your most valuable benefits is your pension, but this does not mean that it is everything you will ever need. Granted, it is a good pension and about 60% of your highest salary, but from 100% to 60% is a big jump with no other income stream. My new friend conceded that this was a big gap to fill, but she wanted to know why she was not really educated on this fact and why she was responsible for it. I was shocked at the second part of the question. Looking at just the second part of the question - why she is responsible for her retirement income - can be a very touchy subject. My argument though is pretty simple - at some point, you are responsible for yourself. In the business world, most employees have a 401(k) which along with SSA is their retirement (there are few pensions remaining anywhere outside government). The onerous is on the employee to contribute to the 401(k) and with matching and/or discretionary contributions from the employer, the employee will hopefully build a retirement account that can be drawn upon through the rest of their life. If the employee does not contribute enough, takes too much, makes bad investment decisions, etc., when then account is gone, the income stops. No more income (outside of SSA) from all of the years they worked. I think this opened her eyes. Getting back to my young friend, she started to understand that contributing just half (2.6%) of the 5.2% of what would have been her SSA contribution would become a large benefit for her at retirement - and she wants to grow the contribution from there every year. She also figured out that since it was pre-tax, her net check would not be nearly impacted like she first thought. The most interesting thing she said though was that her new contributions to her retirement plan were going to be her "diet for her budget." It was not something she wanted to do, but in the end, she knew it would help her financial health. Granted, I am not an educator, but I think I just saw that little light bulb flash on. 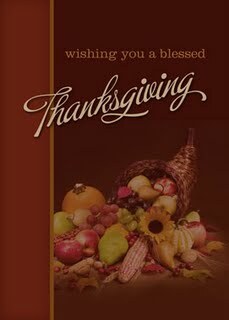 I would like to wish all of my readers and their families a very happy and healthy Thanksgiving. In May, I wrote a post called "Did You Contribute to TRS Between 1987 and 1990?" In that post, I discussed that a client of mine had passed on some information that she had received from TRS regarding a recovery adjustment for contributions to TRS during July 1, 1987 through January 1, 1990. Since that time, there has been no real news, but recently, TRS added some information to their website regarding the subject. Essentially, several people believed that the amount for the recovery adjustment was in fact a recovery credit (meaning that they were owed the entire figure). Unfortunately, this is not the case as I stated in my previous post, but I can definitely understand where someone would believe this to be true. Georgia's income tax rate is 6%, so the largest benefit you could possibly receive would be about 6% of the amount on the letter (i.e. $2,000 in contributions in the letter would net about $120 in recovery). There are several factors of course, so your accountant and/or tax preparer is the best person to help you find out how much (if any) benefit you may receive. "To be clear, the amount shown in the letter you received is not the amount you are owed by the Georgia Department of Revenue, but is the amount of money from which you can recover the taxes you paid on it. This money has nothing to do with incorrect contribution amounts. The contributions you made to TRS during this time were and are correct." "If you fall into this adjustment period and are unsure as to whether or not you filed for this adjustment, we recommend that you go back and check your tax returns for the applicable year to avoid claiming the recovery more than once. If you already received your adjustment, then you are all set. If you did not claim the adjustment, please contact the Georgia Department of Revenue directly at https://etax.dor.ga.gov/ or 877-602-8477 to find out if you are still eligible." A well known fund company likes to say that they have a "secret sauce" when it comes to investing in various companies. The ingredients of the "sauce" are not really secret, but in what amounts and how they use them is. The ingredients I am talking about are research and experience. As an educator, your first year in the class room you made "rookie" mistakes, and you learned from them. Every single industry is just about the same, but with investing, you must also have thorough research to dig into to understand a company. The "secret sauce" is that balancing act of combining the right amount of research with the right amount of experience to know if you are choosing a great company that has a great future or a company that looks "cheap" and it should be. I have tried to preach research and education over the past year and a half, and hopefully, all of you have heeded my advice. There is no one that can say that they make every single decision perfectly, but when you have all of the information in front of you, what is it telling you? At this point, in steps your experience. In your profession, most new educators have mentors that help guide them along through the various potholes of the first year or two. Financial professionals sometimes have the same, but whether they do or do not, most fall back on their own thoughts and values. When you look at the various funds that you have to choose from in your accounts, are you looking at just last year's performance? The last 3 years? The last 5 years? Are you taking into account the various categories of investing to make sure you are diversified? Do you know what you are buying? I have my own thoughts on different funds for different situations, but one of the best tools to use to analyze any mutual fund starts with Morningstar (www.morningstar.com). They have free tools and a system of categorizing each fund along with a rating system (1 to 5 stars) for most funds (I am not advocating to purchase a subscription - use the free info). You can also use Yahoo! finance to see if there were any recent "news" articles on the fund you are researching. These are definitely not the only resources available, but they can be a good place to start. Once you have acquired this information, this is where that experience and learned knowledge come into play. "A simple rule... : Be fearful when others are greedy, and be greedy when others are fearful." "Let me be clear on one point: I can’t predict the short-term movements of the stock market. I haven’t the faintest idea as to whether stocks will be higher or lower a month — or a year — from now. What is likely, however, is that the market will move higher, perhaps substantially so, well before either sentiment or the economy turns up. So if you wait for the robins, spring will be over." So one of the most seasoned and successful investors of all time gave you a few bits of information: 1) When everyone wants in... be cautious. When everyone wants out... start buying. 2)The direction of the market changes well before the sentiment and the economy, so if you are waiting for the good news to invest, it will be too late. The fund company that I visited believed that their funds were positioned for a 2010 economic and job recovery. They gave great ideas, analysis, and predictions for the future of the market and the domestic and global economy. The question has thus become not if the US is going to continue to grow, but at what pace and what areas? Today's post is not about investing all of your money today, but instead more about trying to make the right decisions based on research and experience. Reevaluate your allocations, see if they are still in-line with where they should be. Should you be more aggressive or more conservative? Should you contribute more to your retirement now? Do you have your debt and savings where they should be? Just a little reminder that while the market and economic recovery bodes well for the future, it does not mean that there are not lessons to be learned. I spent last weekend and the first part of this past week in San Diego with 1,200 other investment advisors at the annual Schwab Impact conference. It is always good to getaway to hear from various corporate and political leaders, economists and analysts, and other advisors. I usually come away a bit sleepy but full of energy, and this year was no different. The past year has been one for the history books, and most of my colleagues and me have learned quite a bit I believe. I was preaching diversification before, and I continue to preach it. I was saying to continue to contribute to your 403b (or 401k) which allows you to dollar cost average, and that is still the way to go. These are not new interesting ideas, but they make up some of the foundation of investing. In my discussions this past week, I heard that some advisors are seeing an "uptick" in the number of "financial advisors" trying to say how they can "time the market" and get in and out at the top and bottom. When you hear this... be very, very cautious. It is always easy to say whatever, but the reality may be somewhat different. Yesterday I mentioned that sometimes I am told that a friend/relative/neighbor sold out at the top and bought in at the bottom (in the past it has always been the "hot" stock). This is almost impossible to do. In fact, I have had numerous people ask when is the market going to go back down so they can get in again. After talking to most of these people, they generally have sold out at the very bottom of the market. In a post this summer, I discussed "capitulation" as when investors have had enough, throw in the towel, and flee the market. Unfortunately, this is usually what most of the people waiting to get back in did. Not all of them but a majority of them did this very thing. I definitely understand it. If you are still sitting on the "sidelines" waiting for the market, you are taking a big risk there too. Wherever your money is just sitting waiting, there are risks there too. Inflation Risk - The possibility that inflation will rise thus decreasing the buying power of a dollar. Interest Rate Risk - The possibility of a reduction in the value of a security, especially a bond or CD, resulting from a rise in interest rates. Principal Risk - The risk of losing the amount invested due to bankruptcy or default. There is always the possibility that through some set of circumstances, invested money will decrease or completely disappear. In this case, principal is lost, not just profits. Even with CDs, this is a risk if you go over the FDIC limit. Opportunity Risk - The risk that a better opportunity may present itself after an irreversible decision has been made. Example - Buying a 5 year CD at a nice rate now, but if rates rise substantially after even 1 year, you will get hit with a penalty to break the CD and start over. All of the above are not meant to scare anyone to move, but to point out that every decision has a bit of risk involved. If you jump from one thing to another, you are creating even more risks for yourself. My wife has a saying, "Plan your work. Work your plan." Simple I know, but it lends itself here too. Where do you want to be? How are you going to get there? What are the risks involved? These are just part of what advisors try to think about every day for our clients. Are you thinking about this? Is your advisor? 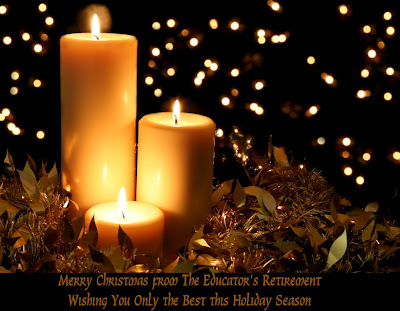 Over the past 15 months, I have now written 100 posts for The Educator's Retirement blog, and the site has never been changed. Well, over the long weekend, I had some time (and energy), so I decided to make some changes. I hope you will go to the site (www.theeducatorsretirement.com), look around, and let me know what you think. It is still a work in progress, but since I am trying to find the best way to get information across to educators, your input is appreciated. Should something else be added or taken away? The fonts, colors, and spacing acceptable? Usually, we are just told this is the website and go to it, but if there is something I have overlooked or not thought of, I will definitely look to make some changes. You are the focus group, test subjects, and end users. Let me know what you think - rschultz@rollinsfinancial.com. I just wanted to thank everyone for the kind thoughts and words regarding Stormy. It means more than you know that people I have never met and reside around the country took the time to read and send an email about our pet. My wife and I really appreciate it. I wish you all only the best. Health care reform. It has become a firestorm topic, but most people agree that we do need some type of reform. I have heard the rumors, researched some of the current House bill (H.R.3200 - America's Affordable Health Choices Act of 2009), listened to debates, read editorials, and finally, just tried to put most of it all together in one item. Hopefully, this post addresses most of the issues that everyone wants to know about and some that people are leaving out. From what I have read, most of the people in the under $50,000 in annual income qualify for programs or medical insurance from their employers but they either do not accept coverage or do not know about the coverage. Those with income over $75,000 can afford the coverage but they either do not want it or are self-insured. Everyone should be signed up, but if you don't want it should you be forced to have it? In Massachusetts (state mandated plan), they said yes. If you do not have insurance, you are "taxed" on your state tax return. The end result is if you don't want it, you are pretty much going to pay for it anyway. Besides if something happens, the system will need to take care of you, and you should be able to receive care. The interesting thing is the "healthy" people would spread the cost and make insurance actually cheaper for all. Think about your car insurance policy. You MUST have at least liability, but most also have collision, comprehensive, and uninsured motorist coverage. You have the additional coverage because you do not know what will happen, but you must have the basic liability coverage to drive the car. If everyone had insurance, we could pay less because there would not be a need for uninsured motorist coverage. First, Congress wants to argue everything all at once, and some of the controversial issues are holding up the whole plan. It would be a good idea to divide the bill into three bills - one that has all of the things people agree on, one that has things that most agree on, and the ones that are causes the biggest problems. This lets the President and Congress say they have done something, and then the can go to work on the nitty-gritty stuff. Be responsible! We all need to be responsible for ourselves. We all hear about the role that our doctors, insurance, and government should play, but what about pointing the finger a little more at ourselves. Eat right, exercise, sleep, watch your body fat, etc. If we all did these things, our population would be healthier with fewer ailments, and just that would start to lower costs. We can all go to doctors, clinics, etc., but we all must start to focus some of the issue on us as well. If we were overall healthier, we could focus even more on cancer, blood disorders, mental disorders, Alzheimer's, etc. that have nothing to do with how healthy we live. Control costs!!! How? In Vermont they have 39 Federally Qualified Health Centers that are essentially a "doc in a box" that takes everyone (Hard to Believe! By Bob Herbert - The New York Times). They have a sliding scale for those without insurance, and it has relieved a strain on the system because these people are not going to the ER. People without health insurance traditionally go to the ER for free medical coverage because they cannot be turned away. If you do go to the ER for say a sore throat. You will wait hours, probably see a PA (physician's assistant), and most likely get billed more than a $500. If you go to a local clinic instead, you will wait less time, get at least the same care (possibly by a doctor), and get billed about $150 or so. Remove the crush on the ER, and suddenly health care costs will be cut. Save the ER for real emergencies. The ER wait times will improve and the cost will come down... a win-win. Illegal aliens? None of the current plans even address it. A plan without addressing one of the largest issues is like buying a house without a roof. As long as it doesn't rain... no problem, but when it rains, you are in huge trouble. If we had the clinics, you could make them not rely on resident status. Also, we must come to grips with the cost they provide on the system with little or no contribution. I am not trying to say to go after them for money, but if they are working in the US and being paid, FICA should be levied and the employers are also to blame. The government option... get rid of it. Every program the government runs turns into an issue. Medicare, Medicaid, Social Security, Cash for Clunkers, Congress, etc. If you make it a government bureaucracy, you have done nothing but raise the price and lower the benefit. Private Insurance... should be regulated on the national level and not by all of the various states. We should at least have a national regulatory agency that sets the standards, and if the states wish to go above it, then we cannot stop them, but the basic coverage should be the same from Maine to Nevada. As with natural gas in Georgia, there should be a "last resort" insurer. This means that if all of the private insurers have higher rates, there should be a government subsidized plan that kicks in for those based on their income. Think Kaiser, Blue Cross/Blue Shield, etc. Living wills? Yes! Everyone should have them, but the issue is do not allow a stage 4 cancer patient to not receive treatment. Terminal cases where the patient is non-responsive is one thing, but to deny a cancer patient treatment is something else. Insurance Portability? YES!!! This is one of the biggest problems from a society that continues to change jobs and careers. Make the insurance portable with guaranteed coverage for pre-existing conditions and if you get sick. That is why you need the insurance in the first place. Preventative Care is a must. It has shown time and time again to reduce overall costs even though the short term may seem more expensive. We have a long term problem, and the short term is of little consequence. Tax the rich... The "rich" cannot continue to foot the bill for the entire country and the fix for all too. They cannot fix social security, health care, etc. by raising taxes a few points. It will not work. Congress is already probably going to let many of the Bush tax cuts expire, so revenue "should" increase. Are we to also add a "surtax" on their income too? Not Compromise! This is a plan that is supposed to benefit everyone, and neither party has exactly been the picture of thinking of the greater good. Both republicans and democrats MUST come together for a plan that the country will get behind, or we will continue to have a fractured nation where the people do not trust the government. Americans for Stable Quality Care - Another good site that tries to handle some of the rumors swirling around the various proposals. I have probably read more on this one topic in the past month than for any other topic I have written about. We are in the midst of having full coverage, but it must be done responsibly. I worry that the cost of the plans the democrats have will be so great that in 5 years we will be trying to fix or undo what has been done when the program is in shambles. I also worry that the republicans are missing the boat to actually come together on a huge social issue and make it the best possible plan for the good of the nation. We need reform, and we do have the possibility of having it, but let's make sure we get it right the first time. I have been writing a post over the past week on health care that I cannot seem to finish at the moment. My little world that deals with all things financial cannot compete with my little friend Stormy, so if I can, today I want to discuss him. On Saturday my wife and I found out that one of our cats, Stormy, had unfortunately been killed by a coyote. There are millions of things to say, feelings to express, and memories to share, but the end result is that when you don't have kids, your pets become your kids. Stormy was found in Conyers, Georgia just over nine years ago by a neighbor in a storm drain (thus you get Stormy now). He was a little runt of an orange tabby kitten that had a bloated stomach from being malnourished and was covered in fleas. Needless to say, my wife and I immediately had a soft spot for the little guy. Three weeks later, he had gained 2 pounds, did not have a single flea on him, and was enjoying the life of a spoiled kitten. Stormy grew into a big cat that even at 14 pounds was not overweight for him. He had a birthmark black spot on one of his front paws that we mistook for an oil stain at first. He was the "king of neighborhood" as one of my neighbor's liked to say. He would lay with front paws stretched out and crossed in front of him as if everyone else was his servant. He was obviously the top of the pyramid when it came to our cats and those in the neighborhood, yet he rarely showed the fierceness within him. To my wife and me he was the big lovable orange tabby that would get in your lap or face if you weren't paying him enough attention. He was there watching me work in the yard, talk to neighbors, or waiting for me to get home to play. He was almost always the first to come when I whistled to call the cats home at night. His ears would perk up, and I would see him trotting home. We know pets are sadly not with us along as we want, but we are grateful to them for the times we do get to share. Stormy was a sweet boy that came into our lives completely unexpected nine years ago and sadly left just as quick yesterday. We will miss him, but we know he is always in our hearts and minds. A Teachable Moment - The Wall Street Journal - "President Obama's plan to speak to America's schoolchildren next Tuesday has some Republicans in an uproar. 'As the father of four children, I am absolutely appalled that taxpayer dollars are being used to spread President Obama's socialist ideology,' thunders Jim Greer, chairman of Florida's Republican Party, in a press release. 'President Obama has turned to American's children to spread his liberal lies, indoctrinating American's [sic] youngest children before they have a chance to decide for themselves.' Columnists who spy a conspiracy behind every Democrat are also spreading alarm." Accountability in Public Schools - The New York Times - "The Obama administration laid down an appropriately tough line in late July when it released preliminary rules for the $4.3 billion pot of money known as the Race to the Top Fund. The administration rightly sees it as a way to spur reform by rewarding states that embrace high standards and bypassing those that do not." Indianapolis Tests Out Education Reform - By Matthew Tully - The Wall Street Journal - "The classrooms were full and bustling with activity at Valley Mills Elementary School on the city's southwest side one recent rain-soaked morning. Children smiled and raised their hands, eager to answer questions, and to tell me how happy they were to be in school on a summer day. This was not your father's summer school—punitive and mandatory—but a fresh approach to bridging the achievement gap." Being reflective. It is a trait that we all have, but it only seems to come to us at milestone events. A birthday, wedding, birth, anniversary, diagnosis, reunion, or death suddenly floods us with memories and emotions. With major events, the media help stir up these feelings. This week the death of Senator Ted Kennedy once again brought forward those memories of both his life and that of his brothers and family. The past year has been a rather reflective one for the American people with the economic crisis, the election and inauguration of President Obama, and the recent deaths of Michael Jackson and now Senator Kennedy. Every event means something different to each of us. In reading the many posts for this blog, you have seen some of that same reflective tone because in essence many times we must look back to move forward. In my line of work, I see some of the trials and tribulations of others and try to learn from them. I know as educators, you also catch those glimpses of your students' lives, and try to educate, help, and support them in the time they are with you. Reviewing your account and its holdings is important to insure that you continue to be well diversified. The market has been strong overall in 2009, and especially since March 10 (market low) with the S&P 500 rising essentially 50%. If you are always waiting for the market to improve before making your investments, you run the risks of missing the big advances but being around for the pullbacks. As I have discussed in previous posts, while the entire market may be moving forward, some parts parts may be lagging or growing faster than others. Since it is impossible to know which will be moving where, you place certain percentages (based on your age, circumstances, and risk tolerances) in various areas to spread your risk. Some people believe that you simply look at last year's returns and pick the winners... bad move. If you remember, in January I wrote a post titled 2009 Investment Options for Your 403(b). In that post I said, "..., do not look at last year's return to just make your choices. Last year was a great year for government bonds, but this year could end up being a bad one for government bonds because they already are so highly priced which is only compounded by a very low yield. If you just feel like you have to buy them, do very little or just hold cash instead." Well, interestingly enough... I have been right. Through Friday, August 28, the US government bonds have a -2.8% return and the US government long term bonds have a -7.7% return. Cash would have been better. Thinking about the same post from January, I also said, "After the credit markets were essentially beaten down in 2008, bonds of very high quality companies (usually called investment grade bonds) were sold down quite heavily and are still selling at a discount. If we are to believe that the U.S. economy will recover, and it will, then these bonds could enjoy some price recovery back to par along with the yield." I went on to add that if you really wanted to buy bonds in your account, please look at investment grade corporate bonds - I also gave one example of a fund available in AIG VALIC accounts. The return on the Vanguard Investment Grade Bond Fund I mentioned through Friday was +13.7%. Additionally, I discussed investing a TIPS (inflation protected bonds) as another fixed income investment, and it's return was +6.9% YTD. What does the above mean? Really, I just want to point out that following last year's winners or even just being "safe" could in the end limit or even hurt your performance. Also, having some knowledge in the area is important. A math teacher does not teach history and vice versa. Knowledge matters. We will all make good and bad decisions (including those knowledgeable), and the benefit of diversification is that a bad decision in one area could be countered by a good decision in another area. Another important aspect is "rebalancing" your accounts. This means essentially getting your diversification back in line with your original allocations. Most sites allow their participants to "rebalance" their portfolio, and doing so once a year is a great idea. Don't pile everything into one category because it has done well. Instead, continue your allocations and your account (and possibly mind) will thank you. Looking at the index returns for 2009 (this is a link to Morningstar's Index Returns site), Mid Cap and Small Cap have outpaced Large Cap. Growth has been better than value in large caps. Corporate bonds have beaten government bonds. International markets (especially emerging markets) have outpaced domestic markets (this is partly due to a weak dollar). No one could have predicted all of the above, so being invested across all of these areas should have helped your account. Remember, broad diversification is important, and understanding that you may need help can be just as important. Don't be afraid to ask questions... I think I heard one or two teachers say that in class. Can Social Security Be Fixed? Can Windfall Elimination Be Included? As the old saying goes, there are few things in life that are guaranteed... death and taxes. Since 1935 though, Social Security (SSA) could have been added to this short list, but will it remain? Over the years I have had numerous discussions with colleagues and clients on the impending problem of SSA. Every election year we hear that the politicians are going to address it, but political pressure always pushes it back for another time. No one wants to be the bad guy because it will interfere with their plans for their political future. Essentially, the system is running out of money, and there is no "trust fund" or "lock box" that has money waiting to fund it. All of the excess money over the years has been used to fund the retirees and for other government programs. The only thing in the "trust fund" are a bunch of IOU's from the government. All of the deficits that the government has had would have higher had the SSA tax dollars not been included. Simple accounting... move money from the left pocket that is supposed to be saved to the right pocket that is spent. The SSA 2009 annual report shows more contributions into the system ($590 billion) than distributions ($513 billion), BUT since the "trust fund" of $2.2 trillion is just IOU's from the government, the plan quite literally has zero money other than the government debt. Now, let's look at a "real" pension plan. For example, the Georgia TRS (that we have discussed previously) had a current plan balance of $50.06 billion (FY 2008 ended June 30, 2008 - latest report available). In FY 2008, the plan took in $1.54 billion in contributions from employees and employers while it paid out $2.76 billion in benefits. Since the distributions only accounted for 5.5% of the total, it was a down year, and TRS raised contribution amounts for 2009-2010, the plan looks to be in extremely good shape (all figures from the FY 2008 Annual Report). If the Georgia TRS plan funds were suddenly being used by the state to pay current expenditures (not allowed by the way), TRS would be in the same boat as SSA... but they are not. The TRS plan has an actual balance with actual investments - not just IOU's. First, there is no easy solution. The problem can be solved quickly, but the solution itself is not easy to come to grips with, so let's look at some possible solutions and decide what looks good. Just raise the SSA taxes from $106,800 (2009 level) to a reasonable amount and index it to inflation. This is good in theory as long as the raise is not too much. First, even Obama just pledged not to raise taxes on anyone making less than $250k, yet here we will be asking those making under $250k to be hit with the most regressive tax we have, and the small businesses (heart of the economy) will also bear the brunt of the tax (remember employers match the contribution). This is part of the same group that will also be hit with tax increases to pay for whatever health care reform comes down. You can only squeeze so much before you hurt the consumer, the businesses, the economy, etc. Raising the limit will create more revenue, but do not take it too high or it will be a burden. Just raise the full retirement age. Another good option that should be included, and it should be raised to 70. People are living longer, this needs to be a consideration (not for those within 20 years of full retirement right now, but a simple phase up like before). The best solution is to tweak items all the way around including benefits to lessen the blow on employees, employers, and retirees. This is a shared benefit that should be a shared burden. How Do We Solve the Windfall Elimination Provision? It seems as if my blog titled "Windfall Elimination Repeal - The Congressional PR Two Step" on July 26 struck a nerve. In my post I discussed H.R.235 - Social Security Fairness Act of 2009 and S.484 - Social Security Fairness Act of 2009, and how even with overwhelming bipartisan support, neither bill has a chance due to the price tag. If Congress were to work on the WEP issue, how could they fix it? For most educators, it seems the issue is receiving the spousal benefits. This is definitely an issue. It does trim the price tag some, but if we are fixing the whole system, we should definitely lump this in as well. By the way, there is always the "loophole" solution (work your last five years before retiring in education in a system that pays into SSA), but this means changing jobs just when you are in the final stages of your career. I see this as a "final option" because of the strain it obviously puts on the educator. This is especially tough if you have been in the same system for 25 years. I do believe that it is wrong that my wife would not receive very much (if any) benefit from my contributions (and my employer's) to SSA because of her income from her pension. If we were both deceased, then they can keep the money, but at least let my wife enjoy some of the fruits of my labor if she survives me. Realistically though, I see Congress continuing to do little. One solution that some colleagues and I have tossed around though is allowing the equivalent of one full SSA payout between married couples with one non-educator and one educator (that did not pay into SSA for 15+ years). The spousal benefit to the educator at the non-educator's death would be a continuation of the non-educator's benefit. This scenario limits the spousal and SSA covered employee benefit while both are alive, then allows the educator the SSA income that they are used to if the SSA covered employee dies first. Having a spouse die is tough enough and having that death adversely affect your income should not become a burden. This is a tough topic to cover in one post, but I tried to give some of the basic issues surrounding SSA and WEP repeal. The main issue on both fronts really is cost. We have a limited number of workers with limited incomes to tax, so we cannot just tax our way out of the issue. There really does need to be some changes to the system to continue to make it viable especially if it is to survive the Baby Boomer generation. Additionally, I highly recommend reading the CNNMoney.com article by Allan Sloan called "The Next Great Bailout: Social Security." It is a very good read and covers many of the same issues with SSA from a bit of a different angle. My view has always been that the contributions of one spouse takes away from the other as well, so why penalize the spouse? The system is designed to be a support system to those that paid into the system, and an educator's spouse did pay in. Why limit the income to the surviving spouse? Any time you have a debt that can just go away or be reduced, it is important to take advantage of it. For some educators, that could be a possibility with their school loans. The office of Federal Student Aid, an office of the U.S. Department of Education, "plays a central and essential role in America's postsecondary education community." This office is also in charge of the Cancellation and Deferment Options for Teachers. Depending on several factors, an educator could conceivably be able to have their student loan(s) completely wiped out after five years. Unfortunately, there is no easy way to know if you qualified without doing a bit of legwork, but the payoff would easily be worth the time and effort. The main items you need to know are what kind of loan you have, if you are considered a "teacher," and if your school is considered low-income school. This website - Cancellation/Deferment Options for Teachers - will start spelling it all out for you, but the equally important Teacher Cancellation Low Income Directory is a good place to start. If your school does not make the list, there is not much sense in going much further at this time. Check to make sure though it has not been listed at all during your five years. Good luck to everyone in your hunt for information and reducing your debt. It's the first step in being able to get control of your finances and putting away even more money for your retirement. It seems that Congress is spending day upon day upon day on the health care issue and little has been resolved. I have been asked why I have not commented on the plans. Essentially, I have tried to stay out of the discussion in this blog because educators generally have fairly good insurance since they are usually grouped with other public employees in their respective state plans. Additionally, there are numerous plans floating about, so to comment on just one is tough when both the House and Senate are so different on what should happen. I hope before Labor Day (when Congress returns) to have something of some value to add to the discussion. Nothing earth shattering, but just something to stoke the flames. If you have some ideas, I would be happy to hear them - rschultz@rollinsfinancial.com. It seems that every industry has a jargon that they use in every day language. Writing across the curriculum, content specific, NCLB, AYP, detention (I believe I heard this once... may be twice), etc. In the financial world, we have numerous terms too, so today I will give you a couple to listen for in the future. If you ever watch CNBC, Bloomberg, or Fox Business, you may have heard them say that "there has been a flight to quality occurring" or something similar. This may sound like some code, and it is for the financial world. Simply put, a "flight to quality" is a the selling of risky investments and moving into safer investments. This can mean from international markets (which tend to be more volatile) to domestic markets or from stocks to bonds or in the case of 2008, from anything into government bonds. Hope this helps make some sense of the jargon you hear from the media regarding the financial markets. We are all busy. Day in, day out. The grind, the rush, the pressure, the traffic, etc., etc. Out of the blue though, life sometimes throws us that curve ball that forces us to reflect... if sometimes only for just a minute. This past weekend was the start of one of those times for me. Twenty-one years ago this week, my little brother was diagnosed with T-cell Lymphoma. It was a shock to everyone that this strong, vibrant, outgoing boy could be hit with something as serious as this as he turned 10. It was tough for my family, and it was hard for me as a 15 year old to see my little brother struggle while he smiled the whole time. Those times and years changed me. I saw not just my brother but the other kids and their siblings and parents go through some difficult times. Birthdays and Christmases at the hospital. Sneaking in barbecue. Pool, video games, and cards while receiving medication. The list could go on, but you get the drift. In a strange twist of fate, the executive director of an organization started by one of my brother's doctors lives right across the street from me. Almost 20 years after my little brother finished with treatment, I am still reminded of it every now and then, and that is a good thing. It levels me. I know I usually focus on your own finances, but when possible, do not forget to give back a bit. There is no set amount or percentage that is necessary, but the feeling you receive for helping a worthy cause just warms the heart. Oh, and best of all... my little brother turns 31 this week... Happy Birthday Brad. It is the last "pre-school" weekend for my wife. Basically, she is in organization mode to get ready for the planned invasion on Monday morning. I always wonder if she is going to make it through the onslaught of battle on Day 1. As I heard one of colleagues say to a new teacher, there are only 30 "first days" in your career, but they set the tone for the entire year. Yes, Monday morning the kids go back to school in most systems here in Georgia, so the tension, excitement, new clothes, and all will explode on Monday in what has become a global phenomenon... the back-to-school traffic jam. If you don't work in education or have kids, either leave to get to work early or go in at least an hour late... either way, unless you like reading bumper stickers over and over and over again, you'll thank me. I admit it. I have made the mistake numerous times myself, but I have finally had it drilled into my brain. Atlanta traffic is bad DAILY, but add in the first day of school, and it looks like the rush to get the latest, greatest kid's toy for Christmas at the one store in town that has it. The main point I want to make though - Good luck this year to students, parents, and educators! I heard from a number of people about how much they enjoyed reading the various editorials on education "all in one place" versus trying to sift through everything themselves. Since this seemed to be something that many of you liked, I will try to do this every month or so as the number of articles warrants. Since everyone is probably busy with back to school issues, I have put numerous articles here for you to print, read, and enjoy when you have some time. Whether you agree or disagree (tried to get some varying opinions), hopefully the articles give you something to think about and discuss with your colleagues as everyone heads back to school. Washington Steps Up on Schools - The New York Times - "The federal government talks tough about requiring the states to improve schools in exchange for education aid. Then it caves in to political pressure and rewards mediocrity when it’s time to enforce the bargain. As a result, the country has yet to achieve many of the desperately needed reforms laid out in the No Child Left Behind Act of 2002 and other laws dating back to the 1990’s." Obama’s ‘Race to the Top’ - The Wall Street Journal - "The Obama Administration unveiled its new “Race to the Top” initiative late last week, in which it will use the lure of $4.35 billion in federal cash to induce states to improve their K-12 schools. This is going to be interesting to watch, because if nothing else the public school establishment is no longer going to be able to say that lack of money is its big problem." Letters to the Editor: Tennessee Is a School Reform Leader - By Bill Frist - The Wall Street Journal - "Your July 31 editorial, “Obama’s ‘Race to the Top,’ ” highlights the ongoing struggle to reform our nation’s schools and some of the hurdles President Obama and Education Secretary Arne Duncan may encounter from established education advocates, particularly teacher unions. Systemic and meaningful reform cannot occur without all stakeholders working together." Administration Takes Aim at State Laws on Teachers - By Sam Dillon - The New York Times - "The Obama administration took aim on Thursday at state laws — adopted after heavy teachers’ union lobbying — barring the use of student achievement data to evaluate teacher performance." Pay Your Teachers Well - The Wall Street Journal - "The conflicting interests of teachers unions and students is an underreported education story, so we thought we’d highlight two recent stories in Baltimore and New York City that illustrate the problem." Racial Gap in Testing Sees Shift by Region - By Sam Dillon - The New York Times - "... black students have made important gains in several Southern states over two decades, while in some Northern states, black achievement has improved more slowly than white achievement, or has even declined, according to a study of the black-white achievement gap released Tuesday by the Department of Education." As Charter Schools Unionize, Many Debate Effect - By Sam Dillon - The New York Times - "Labor organizing that began two years ago at seven charter schools in Florida has proliferated over the last year to at least a dozen more charters from Massachusetts and New York to California and Oregon." Opportunity for Politicians’ Children - By John Fund - The Wall Street Journal - "My vote for the worst scandal in America right now is the education monopoly that keeps poor, inner-city kids trapped in failing public schools. Special mention here goes to the politicians who oppose giving these children the choice to escape even as they send their own kids to private or elite public schools." The U.S. economy has posted negative growth over four consecutive quarters now, which is the first time in over 60 years that such a string has occurred. However, the second quarter 2009 GDP was only negative by 1%, beating most analysts’ expectations. And most are forecasting positive economic growth in the 3rd and 4th quarter, some even predicting rather robust growth of 3% on an annualized basis for the third quarter. Housing prices also showed some stabilization, as the index showed a slight rise in housing prices from April to May. This was the first positive monthly change for the index since the housing crisis began. Equity markets have been the most glaring beacon, pointing to encouraging economic trends in the near future. Stocks continued their five month advance during the month of July, even in the face of some ominous news. Unemployment closes in on the 10% mark and the aforementioned persistent negative economic growth has consistently been in the headlines. Stock markets typically start to rebound long before there is any evidence of an economic turnaround. This market action sometimes puzzles analysts and investors who are focused on the current economic numbers, although the same pattern has emerged time after time. The recent market surge has added nearly 50% from the March lows. This compares favorably to the average 24% gain that has historically followed recession lows in the stock market. The Dow Industrial Average reached the 9000 level for the first time since last October. While the recent turn in the markets feels good compared to where we were in March, we are sure that investors are well aware equity levels are still roughly one-third of the record highs of October 2007. In essence, we will need to see considerable economic progress before we get back to those lofty levels. Almost all asset classes marked gains for the month of July except for oil and gold, which are off their highest levels of the year. But most categories of stocks, bonds and other commodities all posted varying degrees of gains for the month. The standouts for the month were developed international stocks and emerging market stocks, which gained 10%, and 11%, respectively, for the month of July. Emerging market stocks have outperformed nearly every other class, posting a gain of 44.4% for all of 2009. China, Brazil and India have weathered the financial crisis better than some might have expected and have also benefited from rebounding commodity prices. China, for instance, is sitting on $2 trillion in reserves, with which they can use to invest and stimulate their economy. It’s nearly unimaginable for Americans to consider the envious Chinese position, holding all of those savings just as assets across the globe are on sale. The broadest U.S. stock market index measured by the S&P 500 gained 7.6% for the month of July and is now positive by 11% for the year, through July 31st. The technology focused NASDAQ advanced 7.9% for the month and an impressive 26.2% since December 31, 2008. Technology companies’ strong balance sheets and relative earning resilience has transformed the once speculative sector into a safe haven for investors. The Dow Industrial Average managed to make it into positive territory for the year, posting gains of 8.8% for the month and 6.6% for the year. High yielding corporate bonds as well as high grade corporate issues have also rebounded well throughout 2009. High yield bonds posted gains of 7% just during the month of July and have advanced by 18.1% for the year. Investment grade corporate bonds achieved a gain of 4.6% for the month of July and 9.3% from the start of the year. Corporate bonds of all stripes were all sold down last year as the threat of economic distress and massive defaults seemed imminent. U.S. treasury bonds, last year’s safety trade, are one of the lone losers this year. Long-term treasuries are down 19.1% for the year, medium-term treasuries have lost 5.9% for 2009, and even shorter-term government bonds have posted small losses year to date. There is much debate about what the U.S. treasury markets price action means this year. We saw investors flood into the safest investments (U.S. treasuries) denominated in the safest currency (U.S. dollar) on earth as the financial crisis was unfolding. This was evidenced by the historic rally in treasury prices in 2008, accompanied by a surging U.S. dollar. As the crisis abates, we are seeing those same investors move capital into riskier assets denominated in riskier currencies. These other investments are priced to offer higher potential returns than good old U.S. treasury bonds. This, in our opinion, is the most significant influence – treasury prices and the U.S. dollar. The enormous supply of new treasuries will undoubtedly send yields somewhat higher, all else equal. But we take recent market action as evidence that investors’ appetites for risk, and inflation expectations, continue to be the most significant drivers of interest rates required on U.S. government debt. As we have said, we are encouraged by the recent rally in the stock markets. In our view, the rally since March has largely been a product of simply avoiding a Depression scenario. A Depression was never a likely outcome considering the unprecedented, while controversial, actions of the Federal Reserve and the Department of Treasury. In addition, there was constant chatter about a collapsing banking system or the only apparent alternative, a nationalized banking system. There are consequences to these extraordinary measures and bailouts, which most likely saved the economy from even higher unemployment and even slower economic activity. There will be the endless hearings and concern over who benefited more or less in addition to some new regulations and reinstatement of some old regulations. Some additional financial institutions deserved to die, some Wall Street bankers continue to receive grotesque bonuses, and the government influence during this period can make us all uncomfortable. This environment of bailouts and unprecedented government intervention is not the norm, however, and isn’t likely to be standard practice in the future. Capitalism will survive and thrive, just as it has post the Great Depression when new regulation and many of the government programs we take for granted were created. American style capitalism has been proven as the best economic system in the world, and is likely to remain the model of economic success in the years to come.